As you may be aware, World Bank’s Global Economic Prospects has estimated that India is likely to regain the position as the fastest growing economy in 2018 with growth expected to accelerate to 7.3 per cent in the year. For 2017, the World Bank’s estimate is in line with the International Monetary Fund's projection, i.e. 6.7 per cent, but higher than the Government’s projection, i.e. 6.5 per cent. However, for 2018, IMF’s forecast is slightly higher, i.e. 7.4 per cent. In a recent economic survey, according to the India Inc (CEOs of 51 top companies from IT to heavy engineering sector), India will witness an average of 6.5 to 8 per cent economic growth in 2018-19, with most feeling that the effect of GST and demonetisation will be rationalised. Moreover, India’s recently-liberalised FDI policy, especially regarding the participation of non-resident Indians (NRIs) as domestic investors, has made India a prime destination, among the NRIs. Private investment too is expected to revive, as the Indian corporate sector is adjusting to the GST, with increase in infrastructure spending and mitigation in weakness of privatesector balance sheets. Direct tax collections, as up to 15th January 2018, have soared 18.7 per cent at 6.89 lakh crore, which is 70.3 per cent of the total budget estimate for direct taxes for the financial year 2017-18, according to the Ministry of Finance. Exports have stopped declining, which they had for several quarters, i.e. in the last month, exports rose 30 per cent. Indian accountancy profession, on its part as a committed partner-innation- building, has been constantly contributing to the success of national economy. Creating opportunities out of challenges for its stakeholders, ICAI has always delivered. Prime Minister Shri Narendra Modi, acknowledging the character of CA professionals, remarked aptly on the 2017 CA Day: Today, the army of my Chartered Accountants will have to lead the economic development. And you can note that nobody, better than you, can strengthen the road that attains the desired height of our economic development. Global outreach of ICAI has been further strengthened with the help of its 30 foreign Chapters across the five continents. By the time you read this, our 31st overseas Chapter in Hong Kong will be inaugurated. Additionally, ICAI has also been extending its technical and infrastructural help and support to the developing nations in building the foundations of accountancy profession therein. ICAI has undertaken many measures establishing the profession as a facilitating arm of the Government. A special brief report on some of the significant achievements/ activities and contribution of the Institute during the year 2017-18 has been included in this issue of the Journal. I am happy to inform our stakeholders that our past President (2000-01) CA. Narain Dass Gupta, more popularly known as CA. N. D. Gupta, has been recently elected unopposed to the Rajya Sabha from Delhi, who also happens to be the father of the present ICAI Vice- President CA. Naveen N. D. Gupta. On behalf of the ICAI, I congratulate him for this achievement. Recently, I had the opportunity to meet the Hon’ble Union Finance and Corporate Affairs Minister Shri Arun Jaitley on 26th December 2017 and then again on 23rd January 2018, where I apprised him of the developments in profession that had taken place recently. I also met Hon’ble Union Minister of State for Corporate Affairs Shri P. P. Chaudhary on 20th December 2017, during which I briefed him on the contemporary professional changes at the Institute. As you know, the Union Cabinet has recently given its approval to a number of amendments in the FDI Policy, to liberalise and simplify the provisions so as to provide ease of doing business in India. This investor-friendly policy will permit FDI up to 100%, on the automatic route in most sectors/activities, leading to greater FDI inflows. With changes in FDI policy with respect to audit firms, the government intends to enhance the governance mechanism in the companies with foreign investment. As per the changed policy, foreign investors investing in companies, can have CA firm of their choice, if they have a joint audit with another auditor, who will not be part of the global network of the first auditor. This will be effective, after the Department of Industrial Policy and Promotion of Ministry of Commerce and Industry notifies the same. While you are reading this, the Union Budget 2018-19 would already have been presented in the Parliament. It is expected that Union Budget 2017-18 proposals would be woven around the theme of Transform, Energise and Clean India, with the emphasis on implementing the proposals in the best interests of the farmers, the poor and the underprivileged sections of India. Union budget would be the first budget after the GST regime; GST revenue collection and its share in total tax revenue collection is going to be a new section in the Finance Bill, 2018. We are also expecting that many recommendations that we have made in our Pre-Budget Memorandum, will be positively considered by the Hon’ble Union Finance Minister while finalising the country’s budget proposals. As per our practice, this year too, ICAI will collate the suggestions from its members on direct, indirect and international taxes proposals on the Finance Bill, 2018. The suggestions will be duly considered for inclusion in the Post-Budget Memoranda to be submitted to the Ministry of Finance. Members are requested to submit their valuable suggestions at https://appforms.icai.org/taxproposals/index.html after presentation of the budget. Among the representations submitted to CBDT, one was regarding the hardship being faced by non-resident/ foreign companies in respect of the processing of returns of income (ROIs) filed under presumptive basis of taxation provisions, ICAI submitted a representation to CBDT, requesting to instruct the CPC to reconsider and process the ROIs for companies offering their income under presumptive basis under Section 44BB of the Act. ICAI is taking all measures to support the Government as well as other stakeholders towards a smooth GST implementation. Recently, it has again submitted comprehensive suggestions on GST relating to policy, law and practical issues faced by the assessees, and those on anti-profiteering clause under GST for consideration of the Government. Further, ICAI representatives also met the Chairman of National Anti-Profiteering Authority under GST and explained the suggestions in detail. A representation was also submitted to the Government requesting to address the concerns of taxpayers in filing GSTR-1 and Trans-1 returns at GST portal. As partner in GST knowledge and dissemination, ICAI has extended its technical and infrastructure support to the Government on the matter. One such initiative is 2nd Batch of Virtual Course on GST through live telecast sessions, which was conducted in December 2017-January 2018. Then, a series of live webcasts on UAE VAT was organised during 22nd-30th December 2017. Recordings of all the aforementioned live telecast/webcast sessions are available as E-Learning at http://idtc.icai.org/. Background Material on UAE–VAT Federal Decree Law (No. 8) 2017, Background Material on GST Acts and Rules (5th revised edition) and FAQ’s and MCQ’s on GST (3rd revised edition) have been duly revised. Then a new publication called Background Material on Exempted Services under GST has been launched. Publications are available at http://idtc.icai.org/publications.php. ICAI Awards 2017 was held in Mumbai on 19th January 2018 to recognise the distinguished and exemplary achievements of our members from the industry, polity, civil and social sectors of our country, and honour them for becoming role models for members by demonstrating excellence in profession (including Govt. civil services and industry), national polity and society at large. Union Commerce & Industry Minister Shri Suresh Prabhu was Chief Guest on the occasion and conferred the awards. Among other distinguished awardees, Rajya Sabha MP Shri K. Rahman Khan received the lifetime achievement award, while Lok Sabha MP Dr. Kirit Somaiya got the award for his exemplary contribution to society. My hearty compliments and wishes to all fellow members, who have received the awards, and I am sure, they will continue to act as the profession’s important brand ambassadors through their activities. Two Jury meetings were held under the chair of Shri Ajay Piramal and CA. B. R. Jaju, in order to decide the recipients of the ICAI Awards 2017. ICAI Awards for Excellence in Financial Reporting for the year 2016-17 was held in Mumbai on 25th January 2018, where awards in 14 categories were given to the companies for adopting sound financial practices amongst their domestic and international peers. Chief Guest on the occasion was Former SEBI Chairman Shri M. Damodaran, who also headed the Jury of the ICAI Awards for Excellence in Financial Reporting that had met in Mumbai on 15th January 2018 to decide on the awardees. Shri Damodaran has also served as Chairman of Industrial Development Bank of India and Unit Trust of India, in the past. I recently was at Uganda (Kampala) Chapter on 10th- 11th January 2018, to attend a Seminar, where Indian High Commissioner to Uganda H.E. Shri Ravi Shanker was present as Chief Guest. I met Shri Shanker at his office too, to explore professional opportunities for our members in Uganda. I also met the leadership of the Institute of Certified Public Accountants of Uganda (ICPAU) and discussed the areas of mutual interest. Then, I visited our Tanzania (Dar es Salaam) Chapter to join its 3rd Anniversary celebrations and attended the day-long workshop on March toward Excellence in Corporate Governance on 12th January 2018, where High Commissioner of India to Tanzania Shri Sandeep Arya was present as its Chief Guest. Recently, Vice Chairman of State Audit Institution of Oman Mr. Nasser H. Al Rawahy visited us, i.e. ICAI, on 17th January 2018, along with the Director (Training) of State Audit Institution Mr. Said S. Alhajri. We had discussion on the matters of mutual professional interests. In the past, ICAI has expressed concerns over the matter of managerial autonomy given to public-sector banks (PSBs) in the appointment of statutory central auditors and statutory branch auditors (SBAs) and the manner in which these appointments have been made. In a number of meetings held with the Ministry of Finance and Reserve Bank of India (RBI) in the past, we have proposed to design a software, using which SBAs could be randomly mapped and associated with the vacancies available at the PSBs. As a result, informing the banks about ICAI’s software regarding parameter-based allocation of such audit amongst the eligible firms, RBI has advised them that banks may consider appointing SBAs centrally at corporate office with the help of such or other suitable software, customised or otherwise, to select audit firms in terms of the appointment policy formulated/approved by the Banks Board/Audit Committee Board. A bankers’ meet was organised on 27th December 2017 to deliberate the working of the said software in detail and seek inputs/suggestions, where the bankers’ response was overwhelming. Based on the feedback, software is being finalised that would help the banks in completing their selection in a fair and more transparent manner. Recently, ICAI organised a Residential Summit of ICAI Members in Public Service in Puri (Odisha) on 5th-7th January 2018, on the theme of Accountancy Profession for Economic Development, to elicit the views of our members in public service on the matters of national importance that ICAI could take up for research and further studies, and also to brainstorm contemporary significant professional issues. Retd. Supreme Court Judge Justice (CA.) Anil R. Dave and former Maharashtra Legislative Assembly Speaker CA. Arun Kumar Gujarathi presented keynote address at the Summit, which was attended by 33 participants that included our senior members as judges, Indian Civil services officers and members of State Assemblies and Tribunals. Recently, as a very sincere gesture, the members of Southern region through Southern Regional India Council (SIRC) have generously contributed a magnanimous amount of 1,33,80,475/- (one crore and thirty three lakh and eighty thousand four hundred and seventy five) to the CABF and set an example before the profession. I would like to extend my heartfelt appreciations for this and thank all members of the Southern Region, especially the SIRC Chairman CA. Cotha S. Srinivas and his team for to drive this exemplary contribution. Members of the Borivali (Central) CPE Study Circle of ICAI have also presented a cheque of the sum of 1,95,023/- (rupees one lakh ninety five thousand and twenty three) to the WIRC Chairman, as their contribution to the CABF. Contribution to the CABF is a noble gesture and also our social responsibility, since this eventually helps our professional colleagues and their families. I sincerely request our Study Circles, Branches and Regional Councils to organise the efforts of collecting members’ donations and then make a collective donation to the CABF of the ICAI. With a contribution of about 2.5 crore received towards the Chartered Accountants Benevolent Fund (CABF) (In 2015-16 and 2016-17, ICAICABF had received the contributions of 1,59,41,000/- and 1,72,81,000/- respectively), ICAI continues to help and support our members-in-distress and their families. 49th Regional Conference of Southern India Regional Council was successfully held on 23rd December 2017 in Bengaluru. Apart from me, four ICAI past Presidents CA. 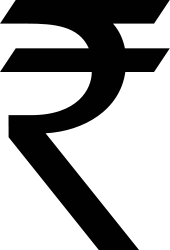 R. Balakrishnan, CA. B. P. Rao, CA. K. Raghu and CA. M. Devaraja Reddy, and my Council colleagues CA. Babu Abraham Kallivayalil, CA. M. P. Vijay Kumar, CA. Madhukar Hiregange, CA. G. Sekhar and CA. Sripriya Kumar attended the Conference. Then, 42nd Regional Conference of Eastern India Regional Council was also successfully held on 22nd December 2017 in Kolkata, which I attended along with my Council colleagues CA. Ranjeet Kumar Agarwal, CA. Debashis Mitra and CA Sushil Kumar Goyal. 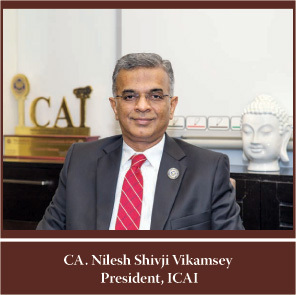 ICAI past President CA. Subodh Kumar Agrawal was also present on the occasion. Mahatma Gandhi had said: True education must correspond to the surrounding circumstances or it is not a healthy growth. As one of the most relevant professional institutions of the country, ICAI through its education empowers the young aspirants helping them in learning how to efficiently respond to the complexity of contemporary business environment. Recently, convocations for the newly-qualified members were held in nine cities across the nation, i.e. Ahmedabad, Mumbai, Pune, Chennai, Hyderabad, Kolkata, Kanpur, Jaipur and Delhi, on 24th January 2018, connecting them to their alma mater providing their first professional welcome. Result of CA Final Examination held in November 2017 and Common Proficiency Test (CPT) held in December 2017 have been declared. I congratulate Mr. Mohit Gupta from Karnal for getting the first rank in the CA Final Examinations. Mr. Prashant and Mr. Aditya Mittal, both from Delhi, got second and third rank respectively. Eventually, 9479 candidates have qualified as Chartered Accountants. In CPT examinations, 38 per cent candidates, i.e. 23034 out of 60586, have passed. While I congratulate all successful candidates, including the rankholders, I would first ask those who couldn’t, to have faith in themselves. Nikos Kazantzakis had said: In order to succeed, we must first believe that we can. Of course, hard work and perseveration will eventually pay off. Recently, I along with my Central Council colleagues CA. Manu Agrawal and CA. Kemisha Soni attended Business @ 2025, a professional event themed on A Futuristic View on Current Scenario, at Bhilai Branch of the ICAI on 4th January 2018. Hon’ble Chhattisgarh Chief Minister Dr. Raman Singh was Chief Guest on the occasion. I am happy to inform that during this visit, I also inaugurated a CA Square in Bhilai City of Chhattisgarh, where National General Secretary of a major Indian political party Dr. (Mrs.) Saroj Pandey and Hon’ble Mayor of Durg district Mrs. Chandrika Chandrakar were also present. A very well-participated International Conference for CA Students was held on 13th-14th January 2018 in Pune on the theme of Nurturing Values and Integrity— Attaining Excellence in Professional Pursuits, which was inaugurated by the Chief Guest on the occasion, Hon’ble Union HRD Minister Shri Prakash Javadekar. I along with ICAI Vice-President CA. Naveen N. D. Gupta and my Central Council colleagues CA. Atul Gupta, CA. Mangesh Kinare, CA. S. B. Zaware, CA. Prafulla Chhajed, CA. Jai Chhaira, CA. Dhiraj Khandelwal, CA. Anil Bhandari, CA. G. Sekar, CA. M. P. Vijay Kumar, CA. Debashis Mitra and CA. Mukesh Singh Kushwah attended the Conference that was attended by more than 2500 students from India as well as from Sri Lanka, Bangladesh and Nepal, who also presented their papers. To keep companies’ finances safe and prevent fraud has been a great challenge before the contemporary businesses, which often translates to the development of forensic services so as to prevent such unauthorised and unethical activities. Taking a concrete step in this direction, ICAI launched its third Forensic (Data Analytics) Lab on 15th January 2018 at its Kanpur premises. I inaugurated the lab in presence of my Central Council colleagues CA.Atul Gupta and CA. Manu Agrawal. A three-day Handson Experience Training on Advanced Excel and Data Dashboard was also organised on 16th-18th January 2018. Although this is my last formal Page as President of the Institute, I will keep contributing to the cause of my alma mater, as a proactive member of the profession. I will remain dedicated to the welfare of my dear profession. While I look back at the developments of the Council Year 2017-18 during my tenure as President, I feel happy, but at the same time, let me acknowledge that I am not satisfied. I realise a lot more has to be accomplished. Some of the tasks that are in process will ultimately be addressed and completed in the coming Council Year, i.e. under the suitable guidance and able leadership of the next President. And I take this opportunity to welcome and congratulate CA. Naveen N. D. Gupta in advance as next President of the Institute. I am sure, under his vision, the profession will flourish further, creating milestones and touching new heights of success. I must thank him for his pivotal role as my true partner in all measures of the professional strength-building at ICAI during the current Council year. Let me also thank all my Central Council colleagues for being with me at the fore of the profession with their vision and ideas in all our initiatives aimed at strengthening the brand Indian CA on the globe, increasing our reach within and beyond our national frontiers, and in tapping the professional opportunities for our membership at large. I must thank all my professional colleagues from all Regional Councils, 163 Branches across the nation, and 31 overseas Chapters across the globe. The way they have assimilated their efforts and acted in the best interests of the profession supporting the vision and mission of the Institute, is really commendable. This communication won’t be complete if I do not recall and thank my seniors in profession, i.e. past Presidents of the Institute, who always made themselves available whenever we requested and sought their interventions, suggestions and advice on any matter of concerns, readily coming forward and contributing their share to the profession. Last but not the least, I thank all employees of my alma-mater, who with their strong and indomitable spirit invested their body and soul to execute the Action Plan of the Institute. Putting in their days and nights, they have successfully performed as Committees and Departments following respective Vision and Action Plan under the guidance of the ICAI Council. I extend my best wishes to all of you on the occasion of Mahashivaratri (14th February), and birth anniversaries of Maharishi Dayanand Saraswati (10th February) and Chatrapati Shivaji (19th February). Let us respect these great souls and respect the freedom and fundamental rights of our fellow citizens.